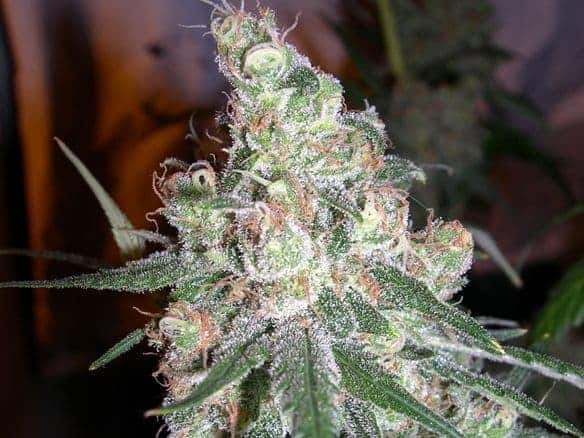 White Fire OG seeds give rise to the high-yielding, potent hybrid variant of designer weed of the same name. 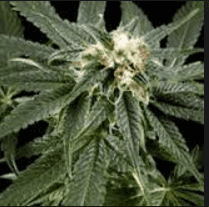 It has remarkably high amounts of THC (22% - 28%) and moderate quantities of CBD (0.08% - 0.3%) therefore it is advised to keep a check on the dose. 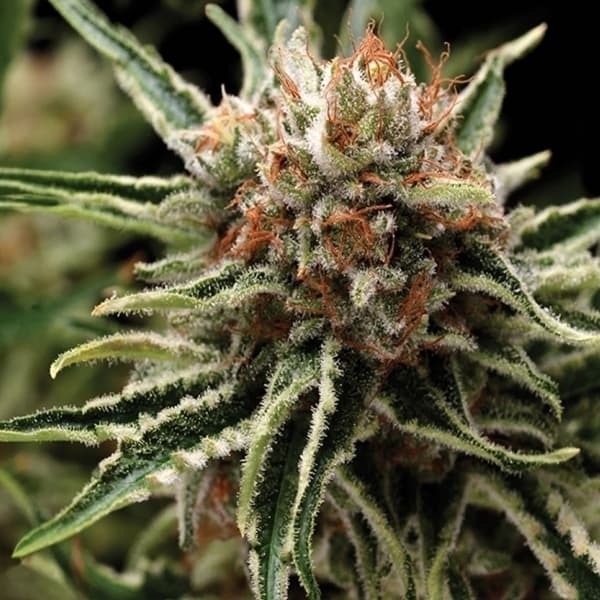 It is the offspring that came out of a successful cross between White and Fire OG phenotypes. 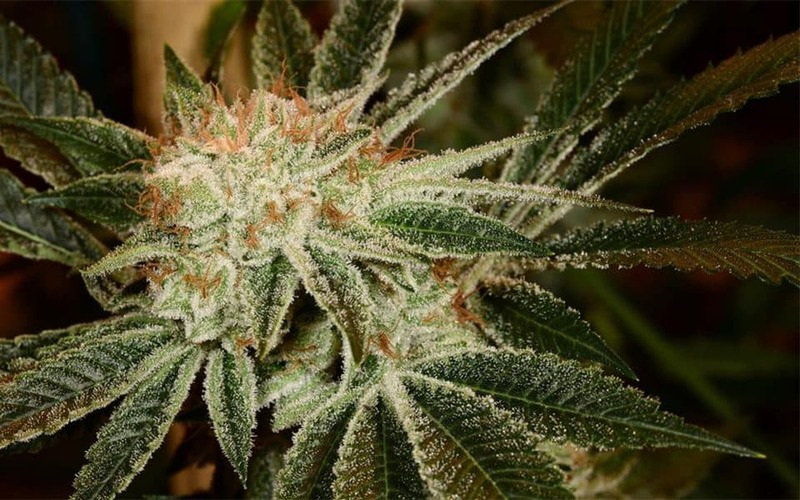 How to Grow White Fire OG Pot Plants? 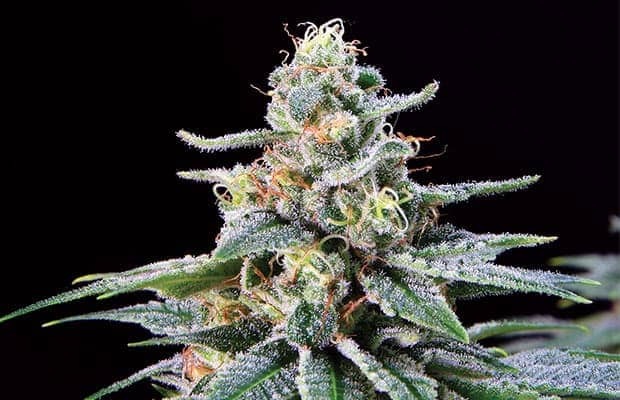 Growing difficulty for this strain is moderate when compared to that of other variants and has a preference for sunny and hot climate conditions. When grown indoors, the plants take around 9 to 10 weeks to complete its flowering cycle with an average yield of about 21 oz of fresh mmj per meters squared. Outdoor grown plants thrive and complete their flowering period by mid-October with an average yield of about 18 oz per plant. Nutrients rich in calcium and magnesium are essential for proper growth. It is advised to train the plants using the ScreenOf Green (SCROG) method to enhance its yield. Periodic pruning of the lower foliage is recommended to assist the plant growing sideways and fill up the gardening area. Multiple topping sessions are encouraged to ensure that the canopy grows all bushy and stays even. It is of utmost importance to keep an eye on the pH levels of the soil. 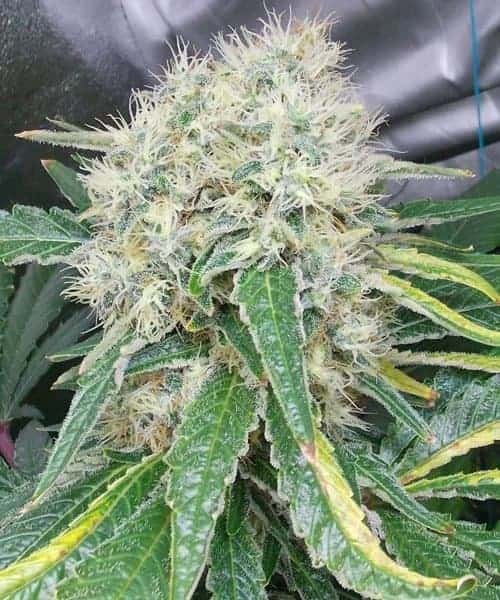 White Fire OG thrives in acidic soil setups with the pH levels hovering around the 5.7 to 6.0 scale. The overall health and yield of the plants can also be altered by installing CO2 drips in the growing area. 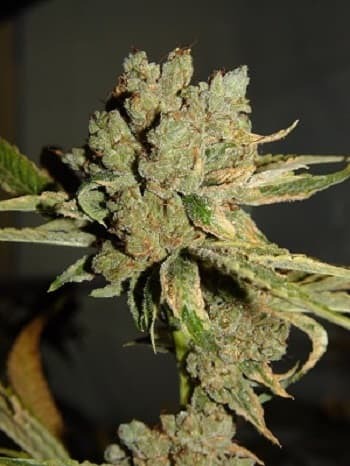 White Fire OG is famous for its pleasant yet strong aroma that resembles diesel mixed with pepper and hints of pine needles in the lower notes. When smoked, it has a diesel combined with pepper flavor that does not leave the tongue long after the smoking session has concluded.